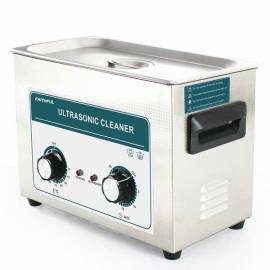 Here you will find ultrasonic baths with the best quality/price ratio for the cleaning of objects or disintegration of samples. 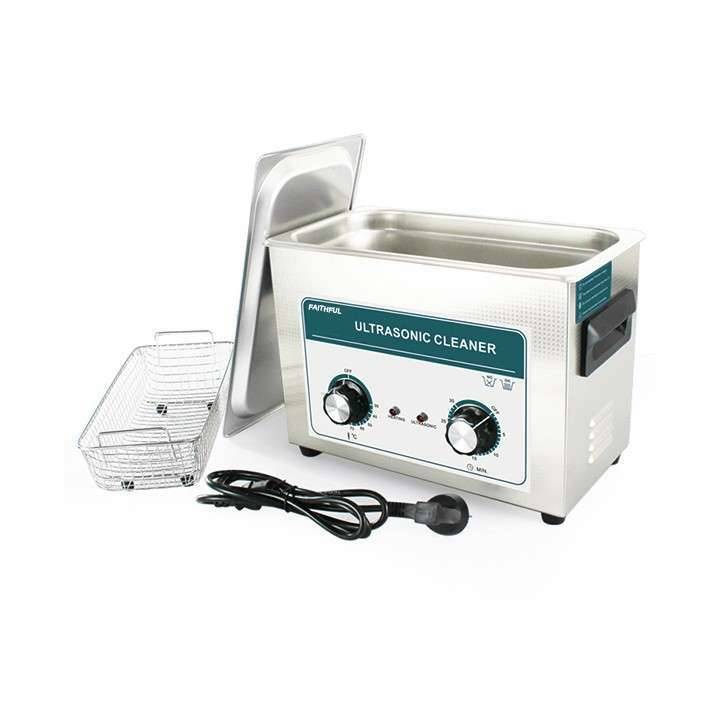 Baths ultrasonic digital FSF Series. 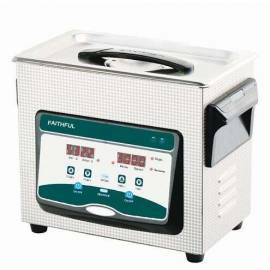 Bath digital timer up to 30 min and warming to RT+5ºC up to 80ºC. Frequency 40 KHz. Volumes and models: 2 L (FSF-010S), 3.2 L (FSF-020S), 4.5 L (FSF-030S), 6.5 L (FSF-031S), 10 L (FSF-040S), 15 L (FSF-060S), 22 L (FSF-080S) and 30 L (FSF-0100S). 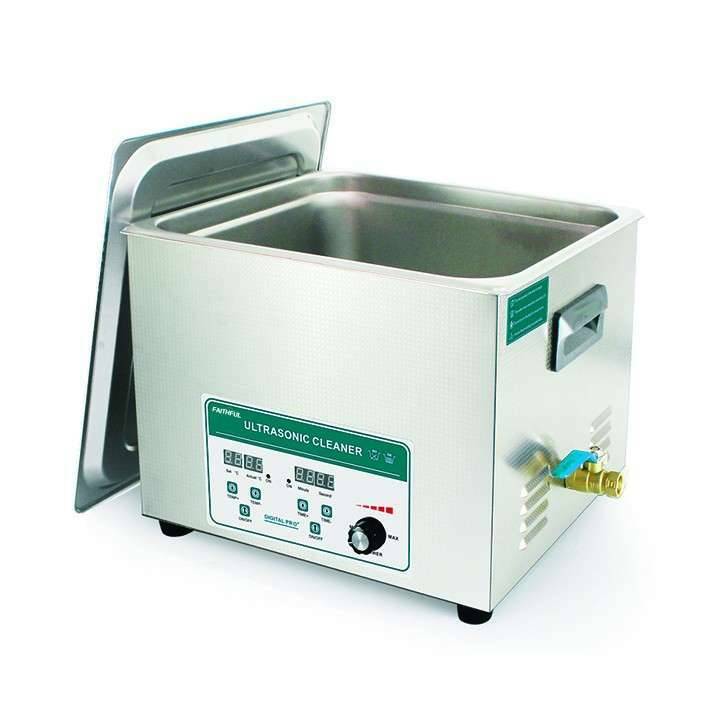 Tank and basket made of stainless steel. Drain tap. It shows the price for the model 2 L (FSF-010S). For other volumes and models to select with drop-down. 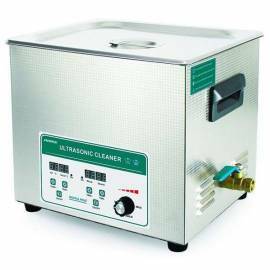 Baths ultrasonic digital dimmable FSF-T Series. 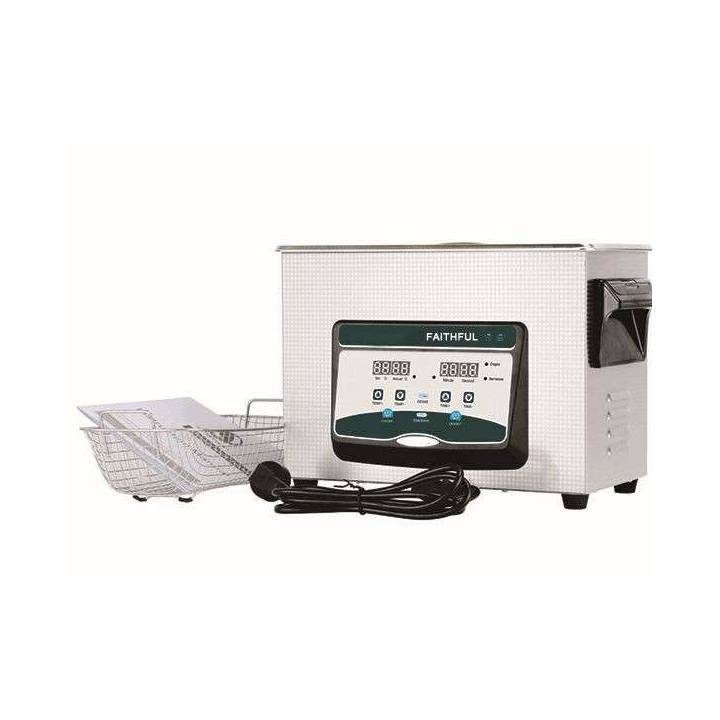 Bath digital with power adjustable, timer up to 30 min and warming to RT+5ºC up to 80ºC. Frequency 40 KHz. Volumes and models: 10 L (FSF-040T), 15 L (FSF-060T), 22 L (FSF-080T) and 30 L (FSF-0100T). Tank and basket made of stainless steel. Drain tap. It shows the price for the model 10-L (FSF-010T). For other volumes and models to select with drop-down.